On-Board Couriers are hired by courier and freight companies that specialize in shipping expensive and lifesaving goods. These can include anything from an exclusive diamond necklace worth millions of dollars or live human tissue for transplant. The employer will train you in the basics of the job such as completing Customs formalities at departure and entry point, handling precious cargo and its related documentation. Women and men can apply for On Board Courier jobs. This is a very specialized job and is best suited for former military personnel, especially women and men trained in commando and anti-terrorism techniques. With threats of terrorism growing worldwide, increasing numbers of airlines worldwide are carrying Sky Marshals on board. Sky Marshals travel on an aircraft like ordinary passengers. Only, they are seated at key locations in the aircraft and carry weapons that can be safely used while flying. Their job is to overpower and neutralize terrorists who may attempt to hijack the aircraft. While some airlines carry personnel from armed forces of their country, others hire those who have left active service. You need not be a Justin Bieber or Miley Cyrus to travel the world and hold shows. Anyone who has excellent skills playing any musical instrument or who can sing well, can find jobs with large hotels and resort chains as an Entertainer. These chains require artists with all sorts with excellent skills to perform at specific restaurants at hotels and resorts. Generally, the hotel chain will send you to perform for a week or a month at one property and later, depute you to another located in a different country. Other than getting paid for your skills, you are also entitled to tips from customers. Pay package generally includes food, accommodation and transport too. Major voluntary organizations, including those operating under United Nations require relief workers to travel on short assignments in different countries. Anyone can qualify as Relief Worker provided you have skills useful for people affected by natural and man-made disaster areas like war zones, regions or countries hit by floods, drought, tsunami, disease, civil war and pandemic, among others. The scope of work in this field is very wide since people from all trades are needed. Plumbers are required to build basic sanitation and hygiene facilities while qualified physicians are needed to provide healthcare. This job is suitable only for the very religious minded people who wish to travel the world. Large organizations of almost every faith on Planet Earth sends missionaries to various countries to preach teachings of their religion. to the local people. Others send missionaries to conduct charity drives like opening free medical clinics, community kitchens and educational institutes or as guest speakers at religious congregations. Understandably, you need to be well versed in tenets of your faith and should possess great speaking and communication skills. There are a myriad of jobs available on cruise line companies for people who wish to travel the world. These range from very basic jobs such as stewards and stewardesses to naturalists who brief cruise passengers about flora and fauna at the port of call to guides (also called port lecturers) who take people on tours at the destination where the cruise liner calls. You will however require basic skills like swimming and interpersonal communications to work on cruise ships. Every cruise operator is continually on lookout for excellent staff at various positions to work on board their ships. Ornithologists are people who watch and study birds, their living and migratory patterns, take pictures and write research documents. They travel the world with special study groups, sometimes on invitation by foreign governments and organizations concerned with preservation of flora and fauna. Modern day ornithologist also study threats posed to various avian species by pollution, poaching and deforestation, among others and suggest ways and means to protect birds against extinction. This is a great job for nature lovers who hold the required degree. Anyone with deft skills in handling cameras can find excellent jobs with cruise lines, airlines, travel operators, news providers, nature and environment protection lobbies and a myriad of other companies as a photographer. However, this job is not for just anyone armed with a great camera. You need to have a portfolio of breathtaking pictures you have taken and their relevance for the job you are applying. 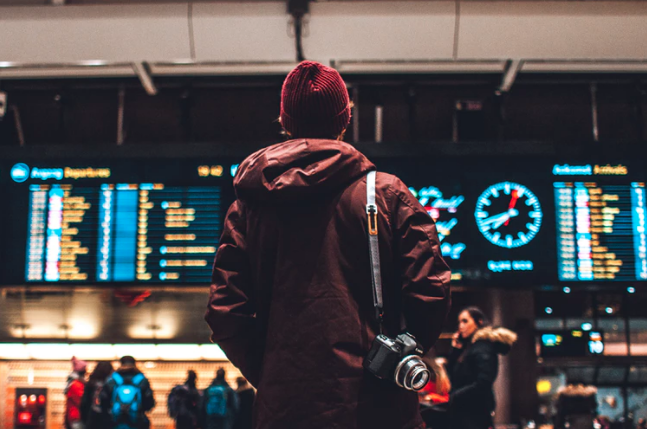 While some companies require photographers for short-term and specific assignments, cruise lines, airlines, travel companies and related publications hire on long-term or permanent basis. Jobs involving extensive travel also present opportunities to make extra money online with YouTube you can do this with your smart phone or a good camera to capture various tourism attractions & destination. It is apparent that anyone with a few special skills can find excellent jobs that involve extensive travel. However, it is imperative to apply to the right companies that offers immense opportunities to travel. Some cruise lines operate only within the maritime frontiers of a country while some news organizations do not have operations outside their native land. Should you wish to turn traveling the world into a job, start by finding the right type of employers. Thanks to online recruitment portals, this is easy nowadays. Pritam Nagrale is the founder of MoneyConnexion. This one is one of his favorite blogs including SureJob & many others. He loves it because he can share all of his experiences of making money online with you. You will love it because you will start making money with some of the most valuable & actionable content in this niche.